NOW Curcumin at Bodybuilding.com - Best Prices on Curcumin! Maintain a healthy cardiovascular system and support overall wellness with 665 mg of turmeric root extract in this Curcumin supplement. * Curcumin is the major component of Turmeric (Curcuma longa L.), and scientific research has demonstrated its antioxidant properties. * Curcumin is the major bioactive component found in the roots of Turmeric (Curcuma longa), a plant belonging to the ginger family. Turmeric has been used as a coloring and flavoring agent in South Asian cuisines for centuries, and it has also been recommended by traditional Ayurvedic herbalists for thousands of years. Curcumin has been extensively researched by modern scientists for its various biological activities. Natural color variation may occur in this product. 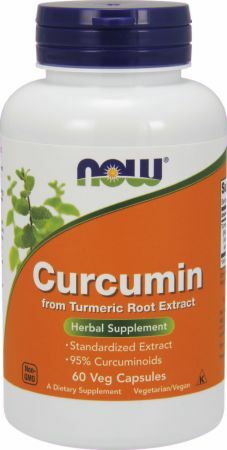 Directions For Curcumin: Take 1 capsule 1 to 2 times daily with food. Warnings: For adults only. Consult physician if pregnant/nursing, taking mediciation, have medical condition or have any history of liver, gall bladder or gastrointestinal problems. Keep out of reach of children.